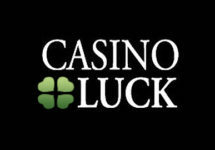 Holiday Race at Casino Luck, Next and WildSlots! Win a holiday voucher, worth €/$/£ 3,500! It’s all about your next holidays this weekend at all Minotauro operated casinos – Casino Luck, NextCasino and WildSlots. A fierce 4-day race on three selected slots from Microgaming will be won by the player scoring the highest win percentage on a single spin. Play the epic Thunderstruck II, the quirky Emoti Coins or the classy Ariana slot to race to the top of the leader board and then jet-off to your dream destination. Still not sure where to spend your next holidays and in need of a budget booster? 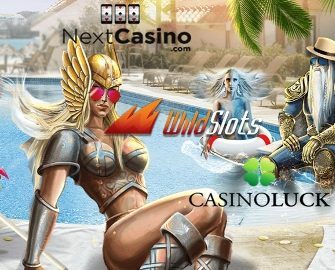 Then take part in the 4-day slot race at any of the Minotauro operated casinos – Casino Luck, NextCasino and WildSlots to compete against your fellow players for the top spot on the leader board. The tournament is open to all players and will end at 23:59 CET on 23rd July 2018. Terms and conditions apply. Spin on Ariana, Emoti Coins or Thunderstruck II and score the highest win/bet percentage either in one spin or a bonus round to place on the leader board. 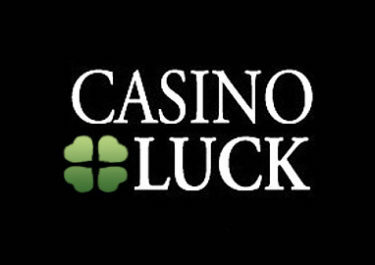 For example – a spin of €0.25 that wins €75 = 300%. The top scoring player will win the single prize of the race, a €3,500 travel voucher towards flights and accommodation. The date of travel and destination will be chosen by the winner. A cash alternative is not available. Launched in 2011, the casino is owned by the acclaimed Minotauro Media Ltd and starting May 2017 is operated on the Aspire Global International LTD platform under MGA Malta and UK Gambling Commission licenses. On offer are a large range of games on desktop, mobile and tablet from Netent, Microgaming, Big Time Gaming, Blueprint Gaming, Elk Studios, Fantasma Games, JustForTheWin, Lightning Box, NextGen Gaming, NYX Interactive, NeoGames, Play’n Go, Rabcat and Thunderkick. The LIVE Casino tables are provided by Evolution Gaming. The site is available in English, German, Finnish, French, Norwegian and Swedish languages and customer support is provided via Email and Live Chat, however during day time only.